The last ten years have seen interest in Jainism increasing, with this previously little-known Indian religion assuming a significant place in religious studies. Studies in Jaina History and Culture breaks new ground by investigating the doctrinal differences and debates amongst the Jains rather than presenting Jainism as a seamless whole whose doctrinal core has remained virtually unchanged throughout its long history. The focus of the book is the discourse concerning orthodoxy and heresy in the Jaina tradition, the question of omniscience and Jaina logic, role models for women and female identity, Jaina schools and sects, religious property, law and ethics. 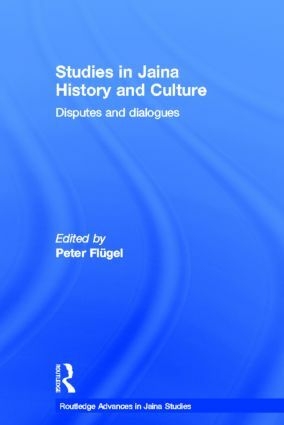 The internal diversity of the Jaina tradition and Jain techniques of living with diversity are explored from an interdisciplinary point of view by fifteen leading scholars in Jaina studies. The contributors focus on the principal social units of the tradition: the schools, movements, sects and orders, rather than Jain religious culture in abstract. Peter Flügel provides a representative snapshot of the current state of Jaina studies that will interest students and academics involved in the study of religion or South Asian cultures. The dating of the Jaina councils: do scholarly presentations reflect the traditional sources? Why must there be an omniscient in Jainism?